The inert gas blowing system includes the mechanical and refractory components necessary to guarantee the flow and pressure conditions required by the installation. 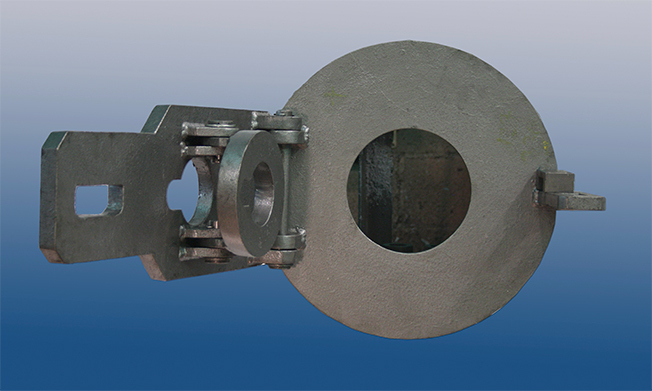 The closing mechanism of the plug is characterized by its design as a gate with a tilting base, which allows a correct positioning and tightening of the assembly against the base of the laddle. • level plate for laddle bottom. System valid for all types of operations, working conditions and laddle geometries. Correct fixation of the stopper against the bottom of the laddle. Modular structure system for quick and easy installation. Do you need more information about Plug fixing systems or about other products or services? Send us your details and we will contact you.